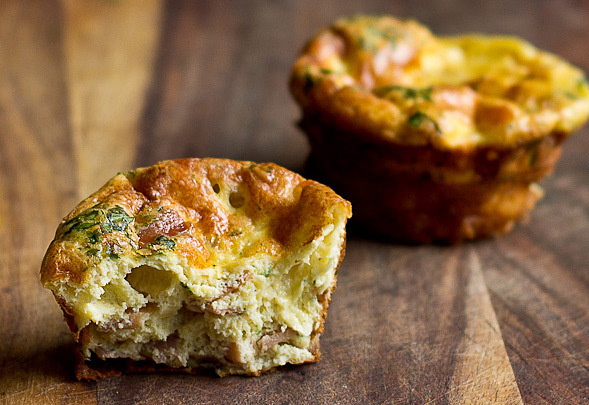 Muffin tins are great for cooking food other than muffins. 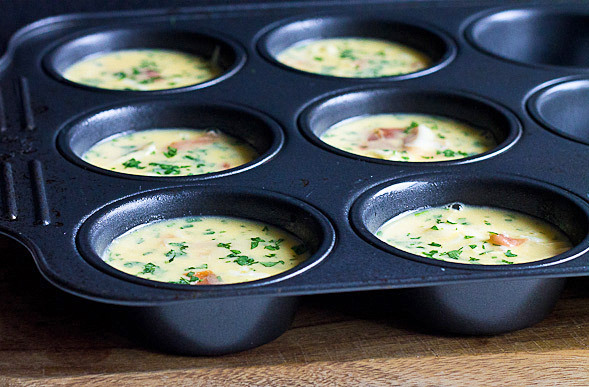 To most folks, muffin tins may not seem like the most obvious kitchen tool to invest in, but there’s a whole world of possibilities! They’re great for freezing and saving for later, portion control or if you want to make mini versions of your food. 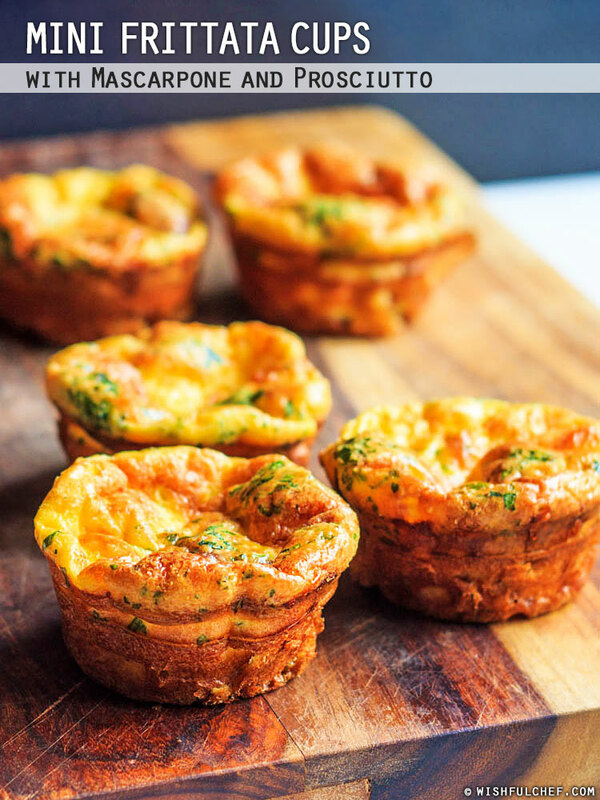 My mini frittata cups was one of Wishful Chef’s most popular recipes of 2012 and the perfect breakfast or brunch dish to make the night before. You could even freeze and warm them up for breakfast in the morning. See the original recipe with updated images below. 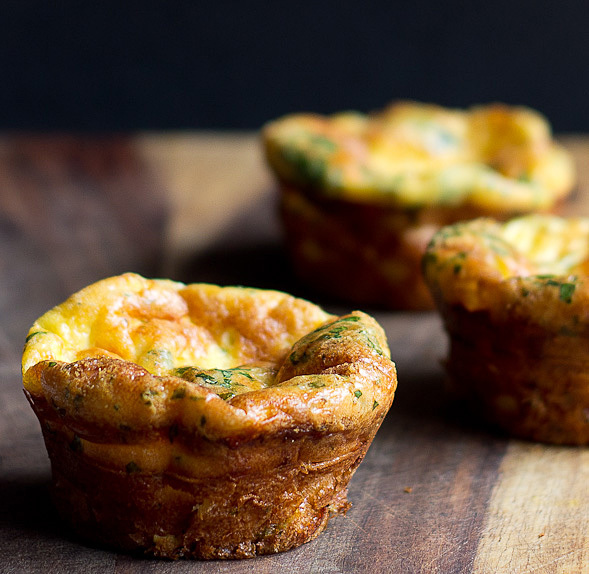 If I had to name the perfect breakfast dish, I’d probably say frittatas. 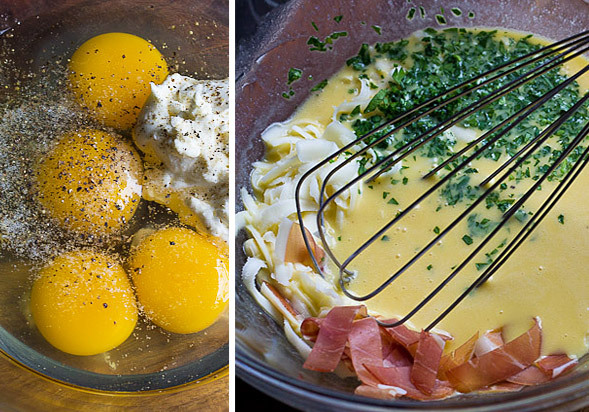 If you’ve never had a frittata before, it’s a simple Italian egg dish much like an omelet. I love making it because it’s so simple and you can use whatever ingredients you want. For this recipe I added a little twist and put each frittata into its own cup using a muffin tin. And continuing my recent mascarpone binge (pasta & tiramisu), I’ve also added a few dollops of mascarpone cheese and prosciutto to keep with the Italian theme. The result is a fluffy, delicious and satisfying meal. When I cook frittatas, I like to use minimal ingredients and this recipe is a pretty basic one. Once they’re finished baking, you can eat them immediately (like we did) or reserve for another day if you’re on the go and need a quick weekday breakfast. They’re also great at room temperature. I like to serve these with toast and ketchup. 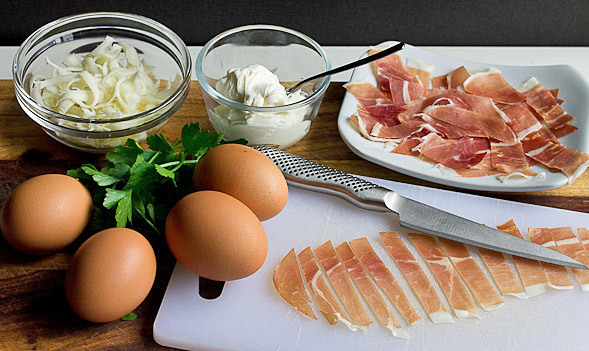 In a bowl, add eggs, mascarpone, salt and pepper and whisk until smooth. Then mix in prosciutto, parsley and cheese. 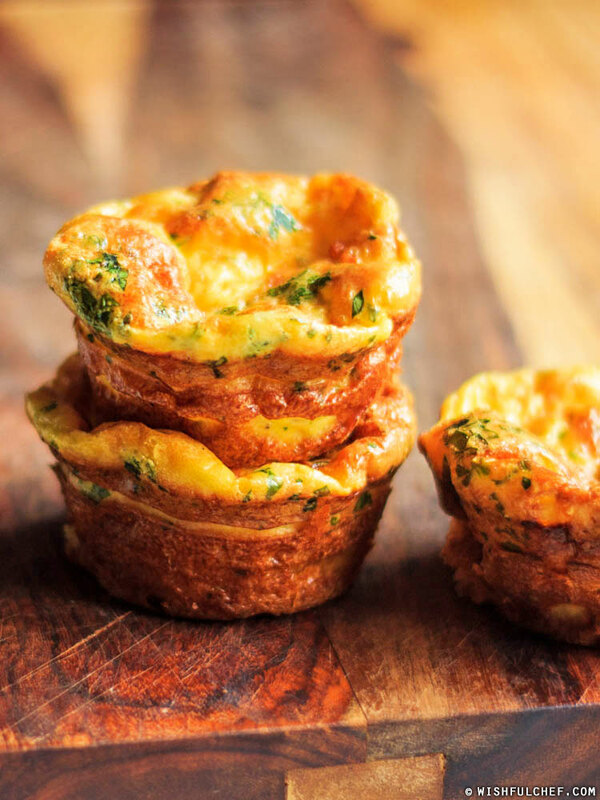 Fill greased muffin cups with egg mixture almost to the top. 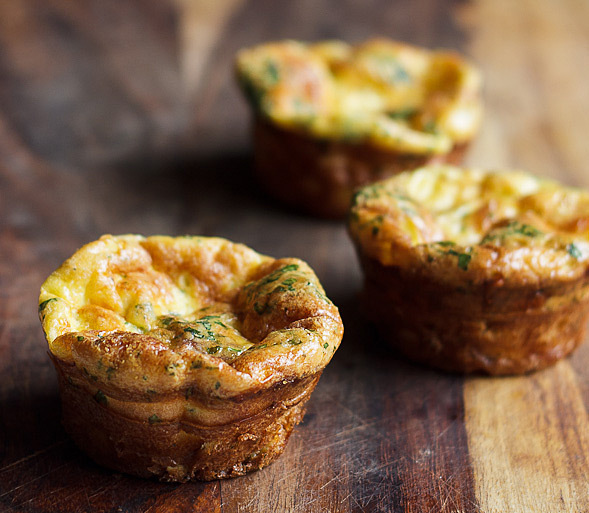 Bake until the frittata puffs at the top and is golden brown, about 25 minutes. 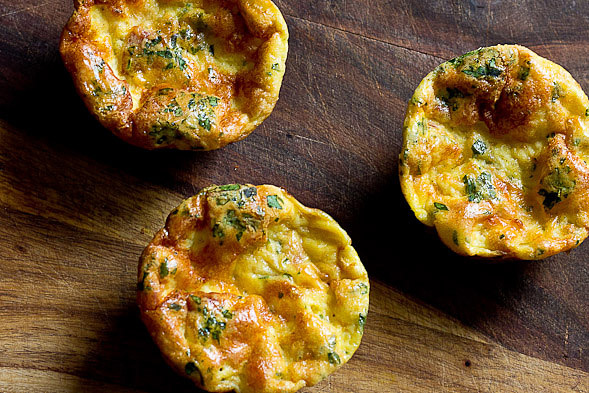 Loosen frittatas with a spatula. Serve warm or at room temperature. Heat the oven to 375°F. Lightly grease 6 muffin cups (I used my 12-cup muffin tin) with a non-stick spray or olive oil, set aside. To a bowl, add eggs, mascarpone, salt and pepper. Whisk until mascarpone has no more lumps and mixture is smooth. Mix in cheese, prosciutto and parsley. Add egg mixture to 6 muffin cups, filling each almost to the top. Bake for about 20-25 minutes, until tops are puffed and golden brown. Serve immediately or cooled. Leftovers can be stored up to a week in the fridge and reheated. Hi! Stopping over from gojee. Just wanted to say these look insanely delicious! I didn’t have all of the ingredients on hand but I substituted with similar ingredients and it was really good. At first, I wasn’t sure because I’ve never had baked eggs of any kind. But, these were really good, cheesy and eggy and salty, all of the flavors and textured worked together beautifully! Thank you so much for sharing this recipe! 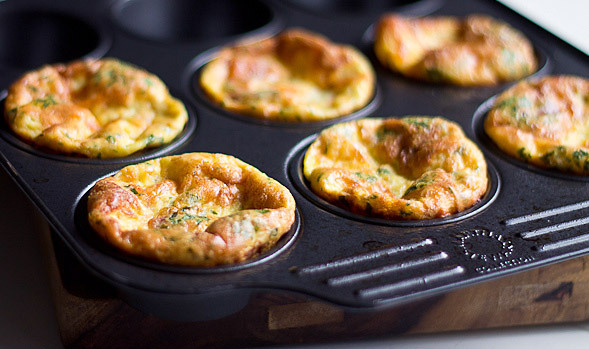 I cooked your frittatas and we loved them very much! Have a look http://panebisteccacom.ipage.com/2/post/2013/08/frittata-muffins-nachgebacken.html they turned out really nice! Thank you so much for trying out the recipe and linking back…vielen dank 🙂 They look great, Wilma! Hope to see you again. Being single and cooking for one, I love all the muffin tin recipes. This is delicious. I can refrigerate for later meals! Thanks! I cooked your frittata today and it was amazing! I added tomatoes and changed parsley to dill. Thank you!